After a busy weekend with their marriage ceremony newlyweds Abhishek Bachchan and Aishwarya Rai visited Tirupati temple, Ranganayaka Mandapam, with their family to pray. The couple along with the closet family members flew via a private jet from Mumbai to Renigunta airport and then drove to the temple were they prayed. They later returned to Mumbai. Today in Mumbai, India's fast moving city and financial hub, a small wedding ceremony was held for Abhishek Bachchan and Aishwarya Rai marriage. The ceremony was small, but the bringing togetherness of the two by far was not. Both are well established actors in Bollywood, and Aish is well known worldwide. She has a wax statue of her in London's world famous Madame Tussaud�s Wax Museum next to her new father-in-law, Amitabh Bachchan, has won the Miss World crown in 1994, has a flower named after, has endorsements with many big companies like L'Oreal and has worked in many movies with varity of role and success. 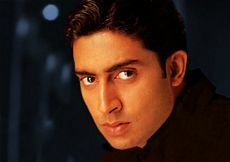 It is not to say that Abhishek is left behind, he also has found great success with his movies and is making a name for himself in Bollywood. He has to work very hard too fill the shoes of Bollywood's biggest star, his father Amitabh Bachchan . Arjun Rampal signed up for a role in Farah Khan's Om Shanti Om . Recently Arjun launced his first home production movie I See You which met good success. He is also working on Cash and Dus Kahaniyan . 02/15/2007: American Idol season 6 has announced the 24 American Idol semifinalists. 02/03/2007: Shah Rukh Khan (SRK) will make apperance on Koffee with Karan this season. Roger Federer wins the Men's Australian Open title. Roger Federer beat Andy Roddick in a straight 3 set (6,4), (6,0), (6,2) victory. Now it will be the women who will play for the title. The match will be against number 1 Maria Sharapova and Serena Williams. Australian Open, Jan 17 Second Round being played in Melbourne, Australia. Spider-Man 3 will release on May 4th, 2007. This time spider man will face some of the most-feared villains, Venom and Sandman. Spiderman is again played by Tobey Maguire Tobey Maguire and Mary Jane Watson is being played by Kirsten Dunst . The movie is rated PG-13 for sequences of intense action violence.